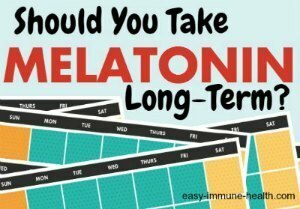 What are the Melatonin Long Term Effects on Your Health? While many people are concerned about the Melatonin Long Term Effects, and rightly so since there have been few studies done on melatonin safety, the evidence strongly suggests that melatonin is not only safe to take long term, but that it can be beneficial as well. Unfortunately, the longest melatonin safety study to date on humans has lasted 3 years, so we don't know much about melatonin long term effects on very long periods of time. However, this study was done using a MASSIVE Melatonin Dosage given every day with almost no problems- adding fuel to the argument that melatonin safety is amazing and that is has an extremely low incidence of Side Effects of Melatonin and that is is extremely hard to have a Melatonin Overdose. But aside from the high level of melatonin safety, there may also be good reason to take melatonin on a regular basis as they are more than simply sleep supplements. What most people don't realize is that melatonin is an antioxidant- and a quite POWERFUL one at that. In fact, it is so powerful that there have been studies showing Melatonin Benefits survival and markers of 'oxidative stress' in hospitalized patients that were SO sick that they were in the intensive care unit for major surgeries, severe burns and life-threatening blood infections. So, if melatonin can help these people's survival from life-threatening illnesses, it suggests that Melatonin long term effects on oxidative stress could be beneficial for many other conditions. And this seems to be true. The melatonin long term effects come from its ability as a stress-fighter. When we think of stress, we often think of our emotional reaction, but every stress that we experience- including simply breathing and living- has a corresponding physical response that creates damaging substances called 'free radicals' that lead to the damaging effects of 'oxidation' and 'lipid peroxidation' which cause disease and aging. 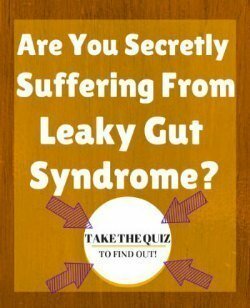 Our bodies are CONSTANTLY fighting these processes in order to remain healthy. Aging, in part, is when free radicals tip the balance and begin the slow process of overwhelming the body. Since melatonin is a 'free radical scavenger' and an 'antioxidant', it fights these processes and can help relieve some of the slow cellular damage that occurs over time. In the process, helping you to sleep can improve markers of stress and improve Adrenal Gland Fatigue as well. Both managing free radicals and helping you to sleep well contributes to overall Immune System Health which can help you fight off disease more effectively. 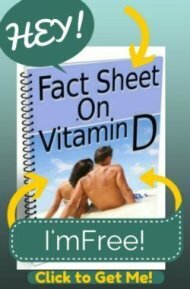 Most disease is caused, at least in part, by the inflammation and free radical damage that melatonin can help to decrease. So, really melatonin long term effects can mean improvement in MANY markers of disease activity, inflammation and stress. What can you expect from Melatonin Long Term Effects? Well, if you have trouble sleeping, you certainly might sleep better. If you have chronic illness or a lot of stress, melatonin long term effects may help you fight these effects and to contribute to overall healing from illnesses. It's possible that it's anti-inflammatory and immune factors can help you to limit the degenerative damage of aging and chronic illnesses. But for most people, you might not notice anything at all!! Increasing antioxidant status, fighting free radicals and other markers of oxidative stress is generally a subtle long-term process.